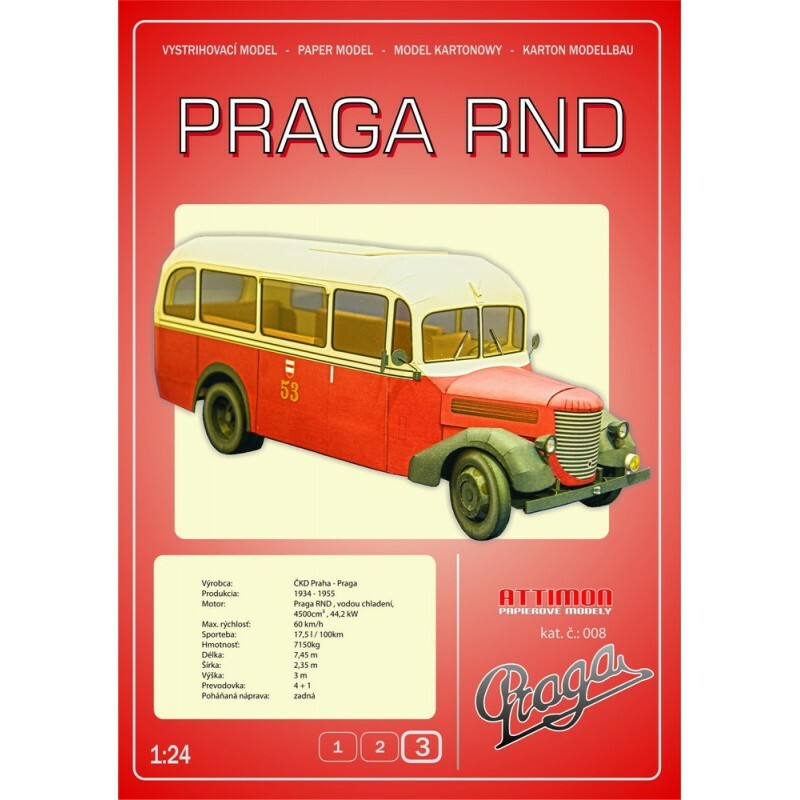 Praga is a manufacturing company based in Prague, Czech Republic. 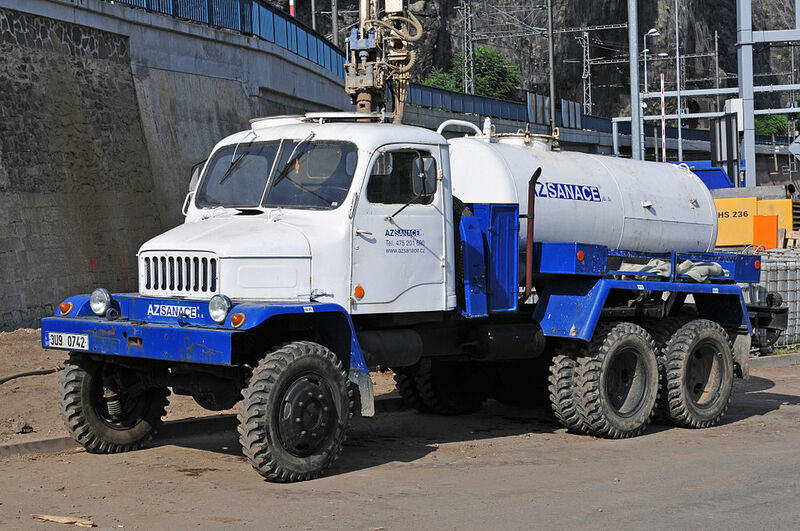 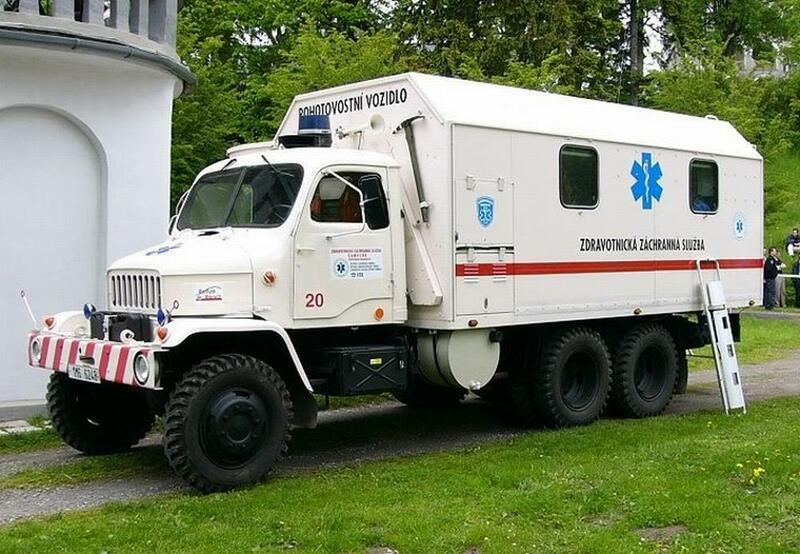 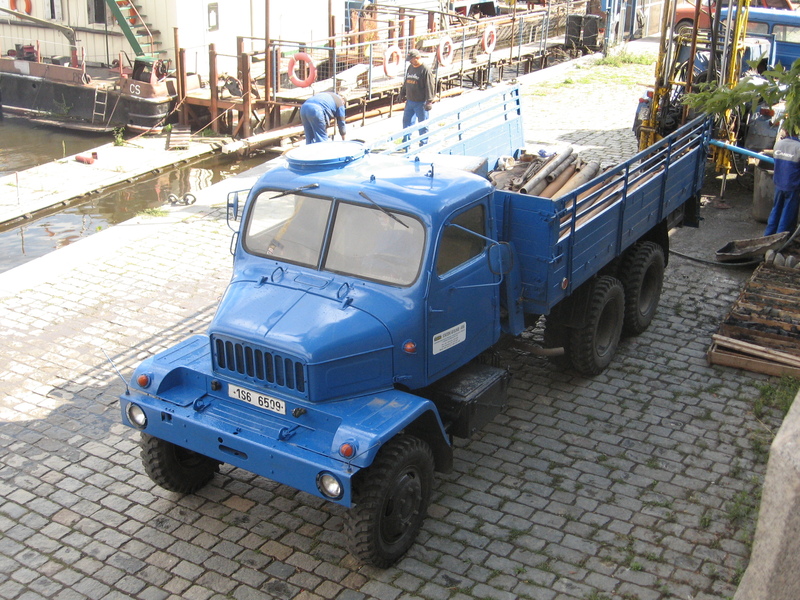 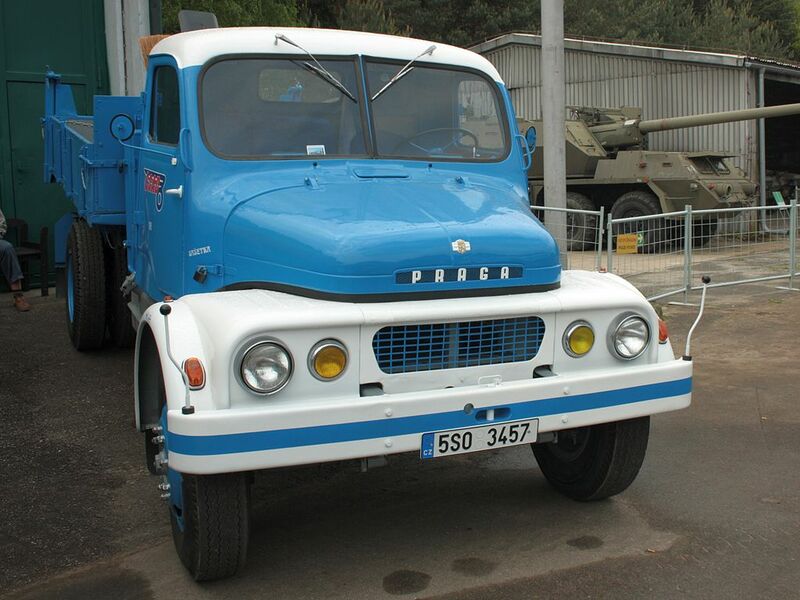 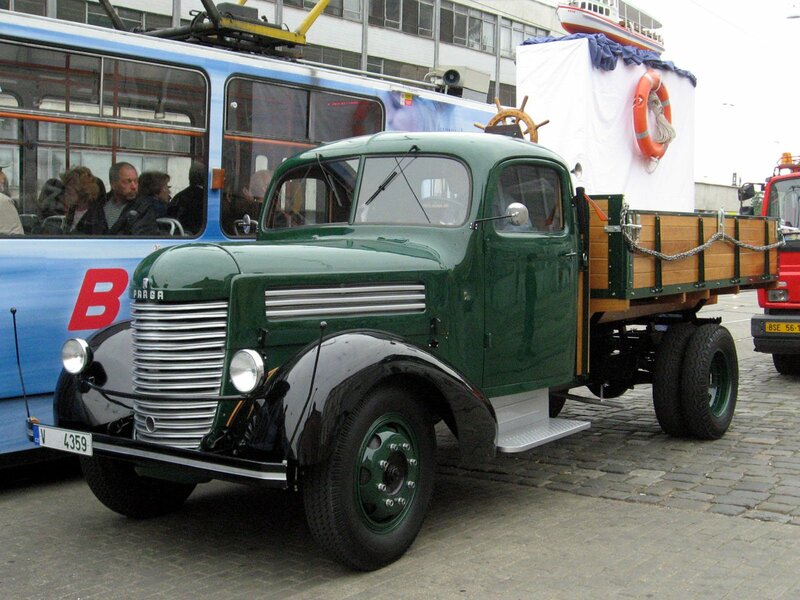 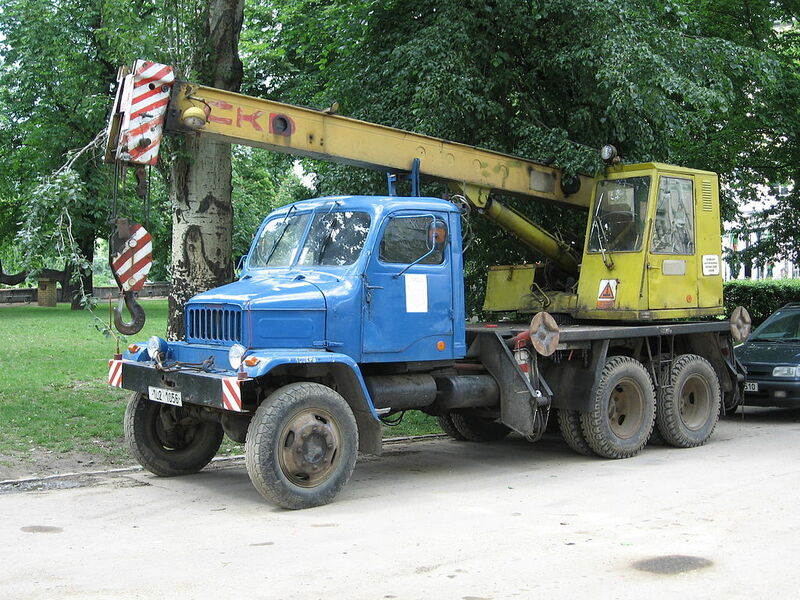 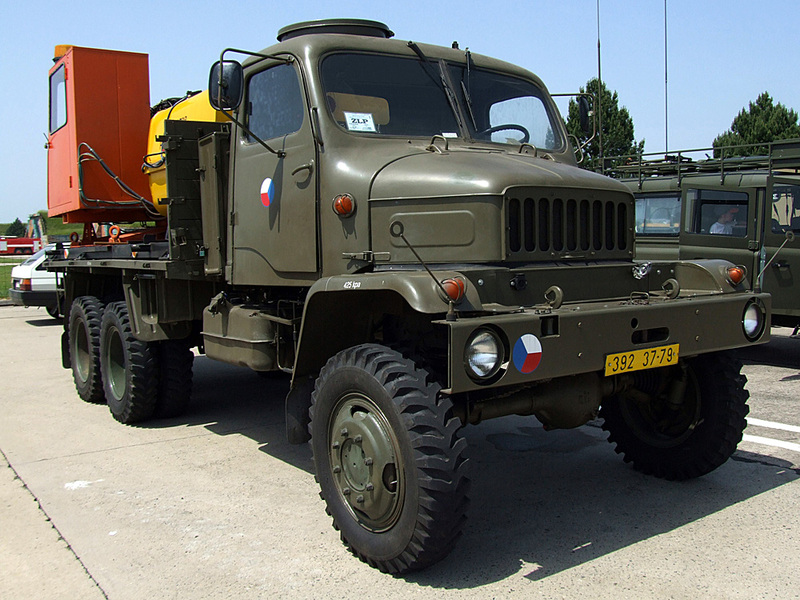 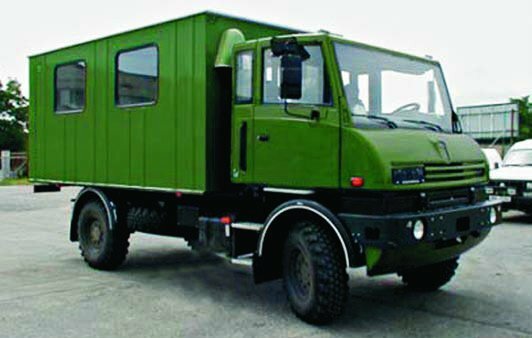 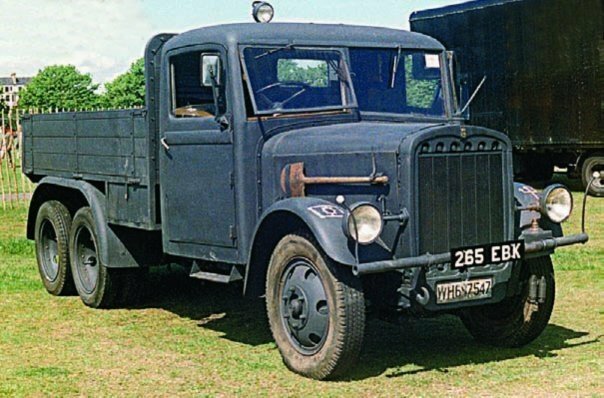 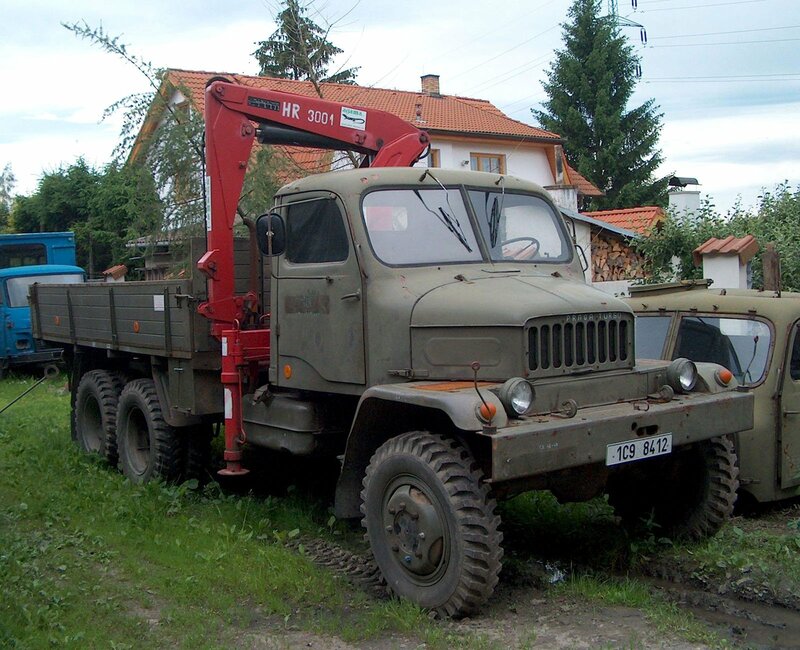 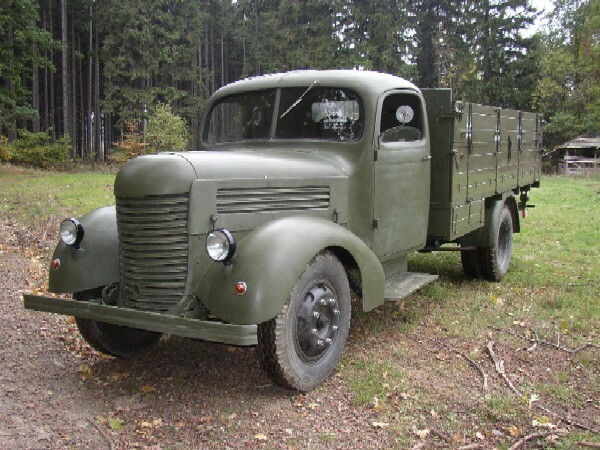 In 2006, it was purchased by International Truck Alliance. 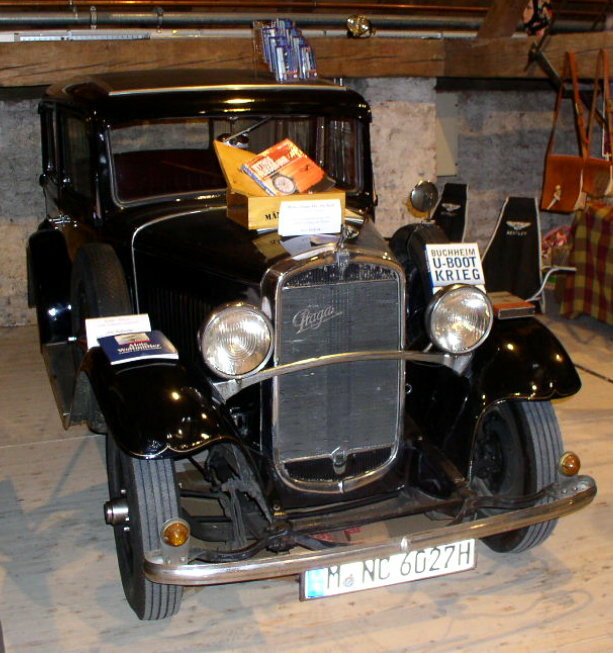 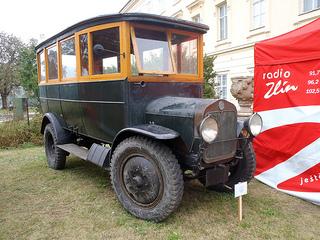 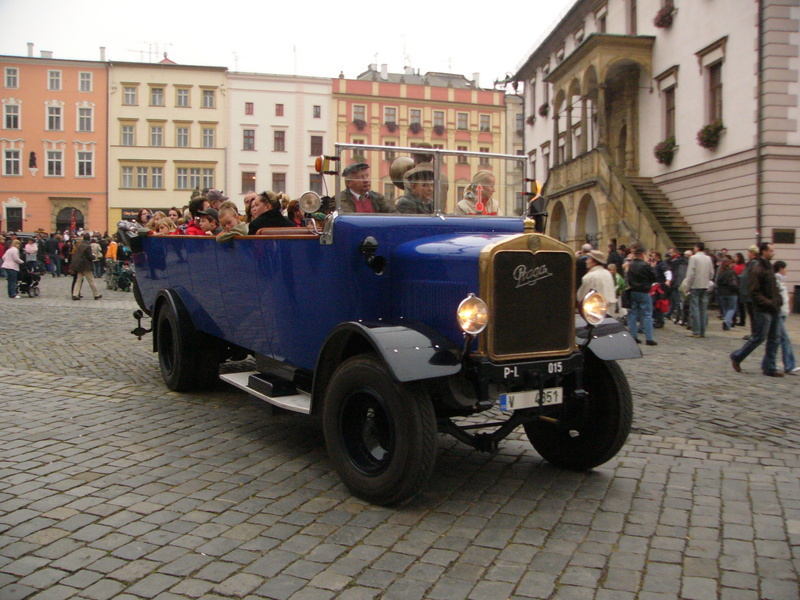 Praga was founded in 1907 to build motor cars as a venture between entrepreneur František Ringhoffer and the company 1. českomoravská továrna na stroje (“First Bohemian-Moravian Machine Works”, later a founding part of the ČKD factories). 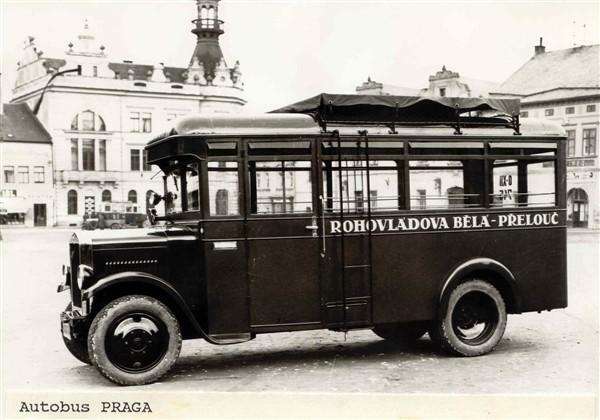 Ringhoffer only stayed for one year and in 1909 the trade name Praga (“Prague” in Latin) was adopted. 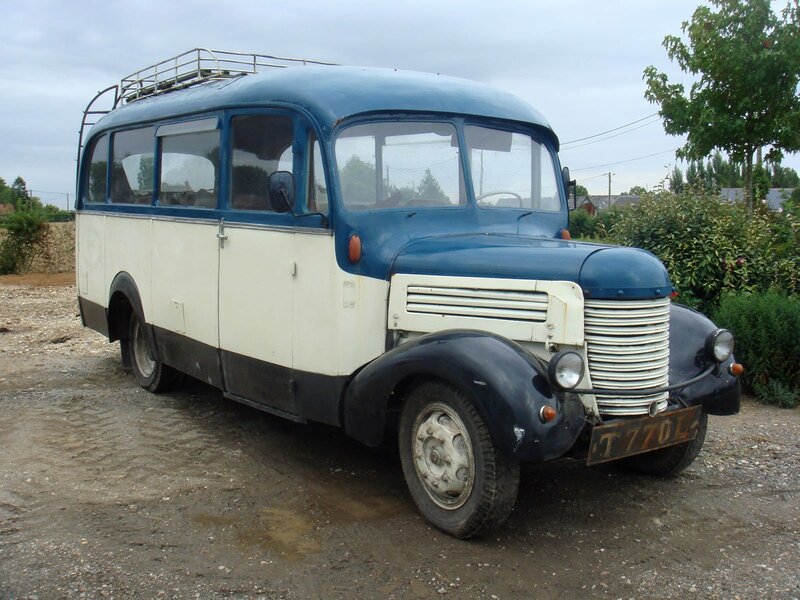 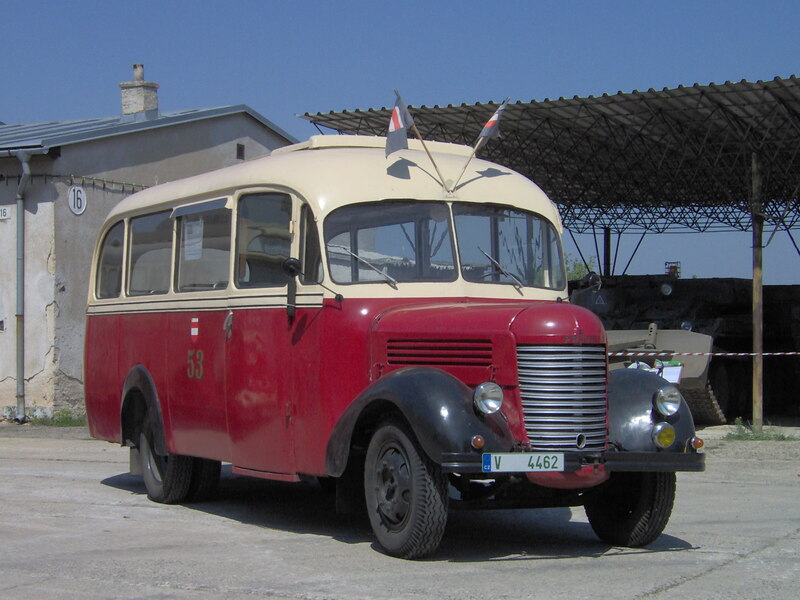 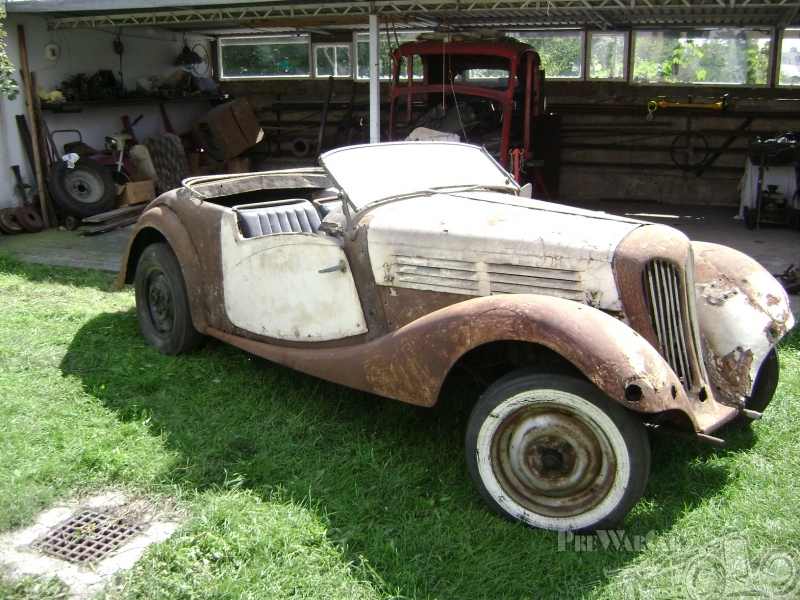 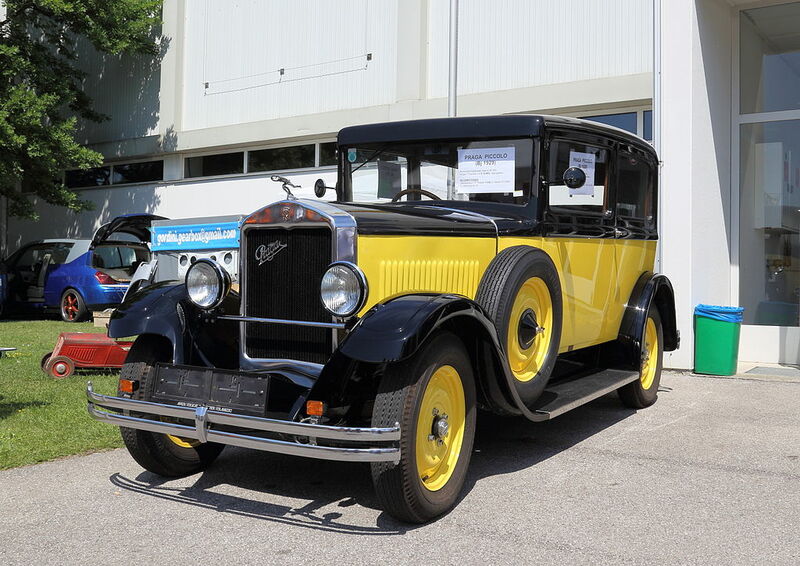 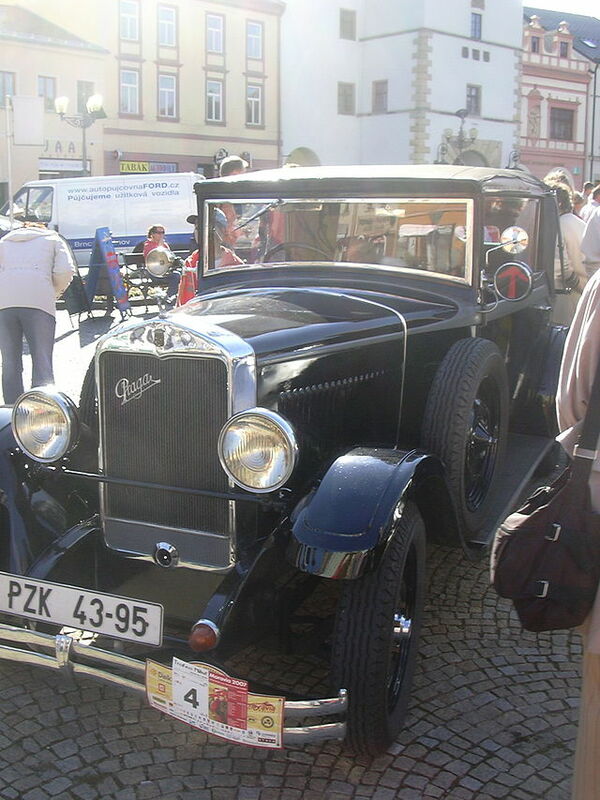 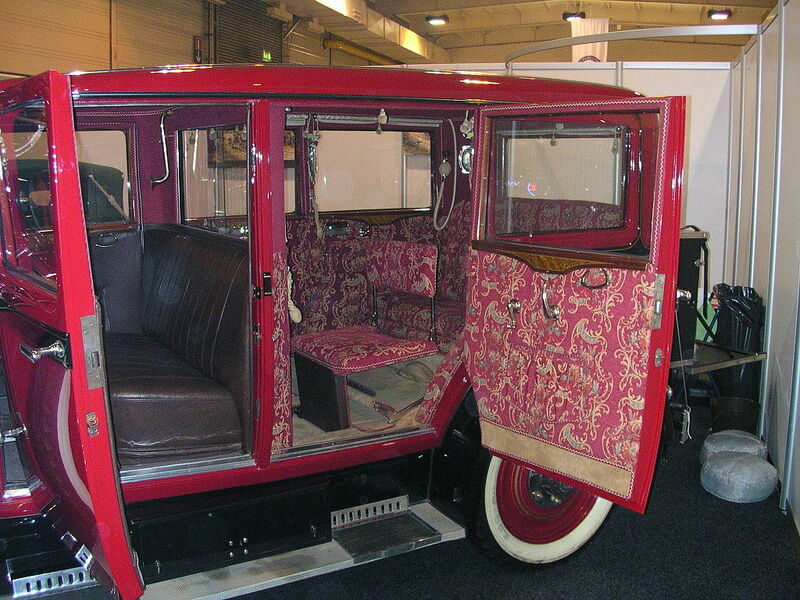 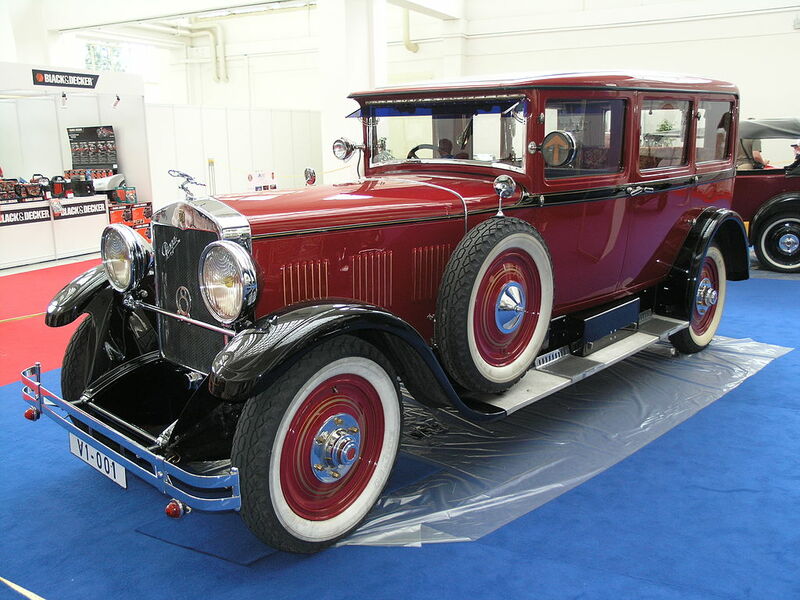 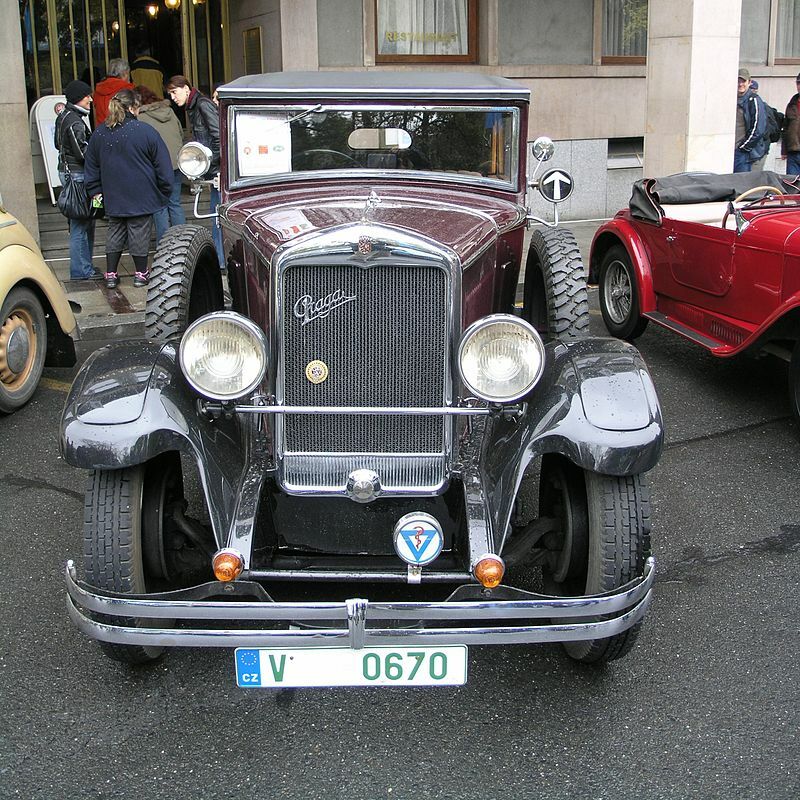 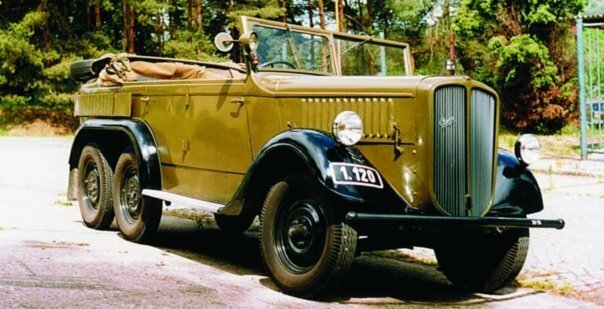 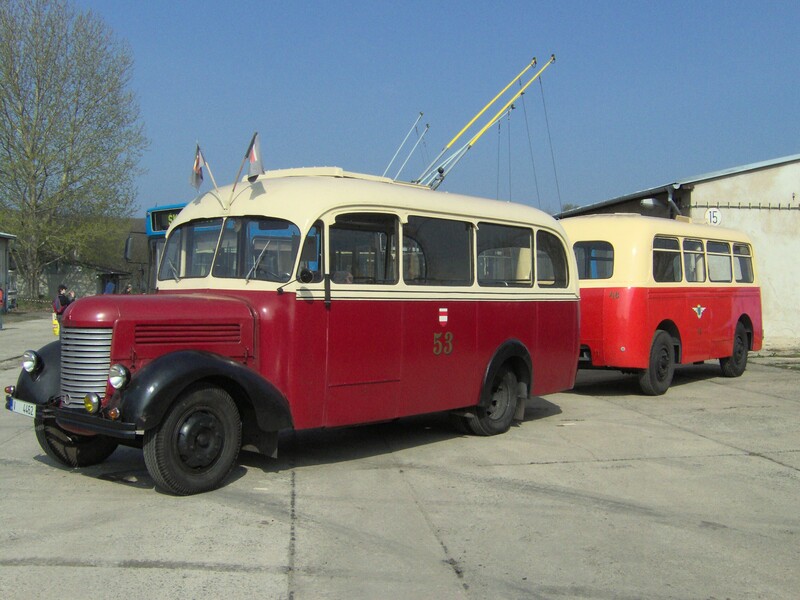 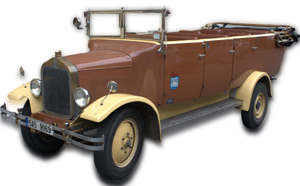 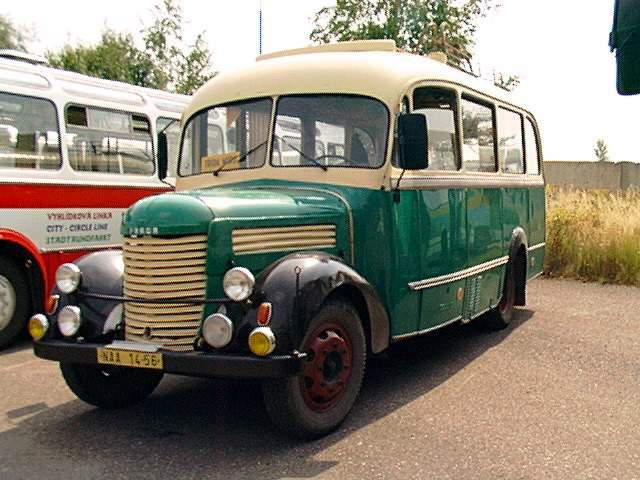 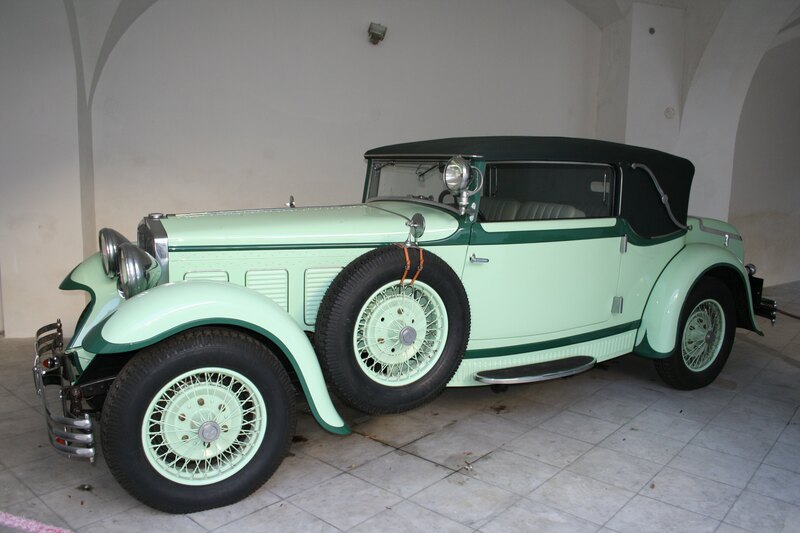 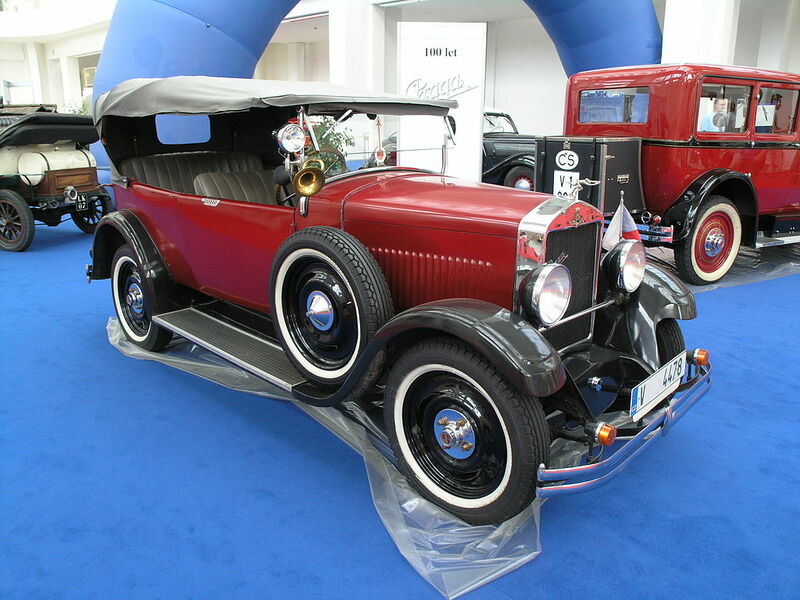 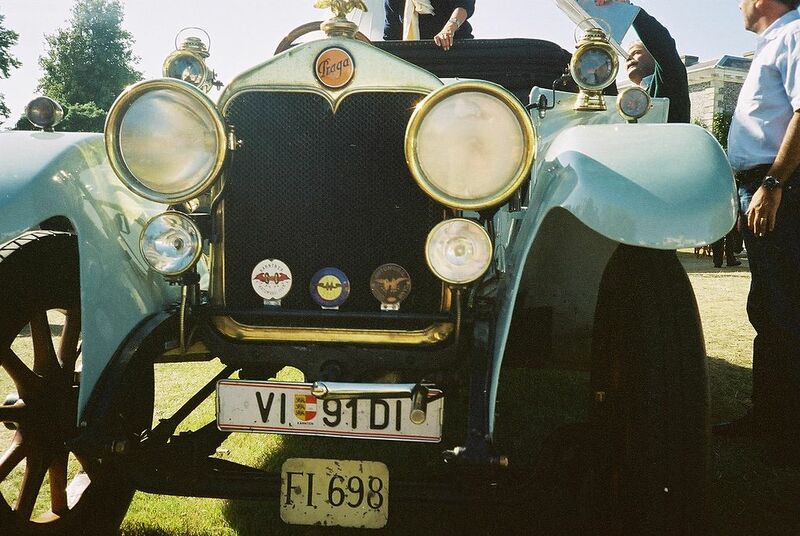 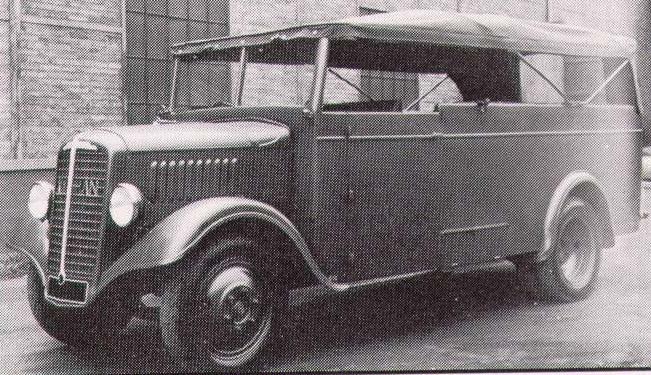 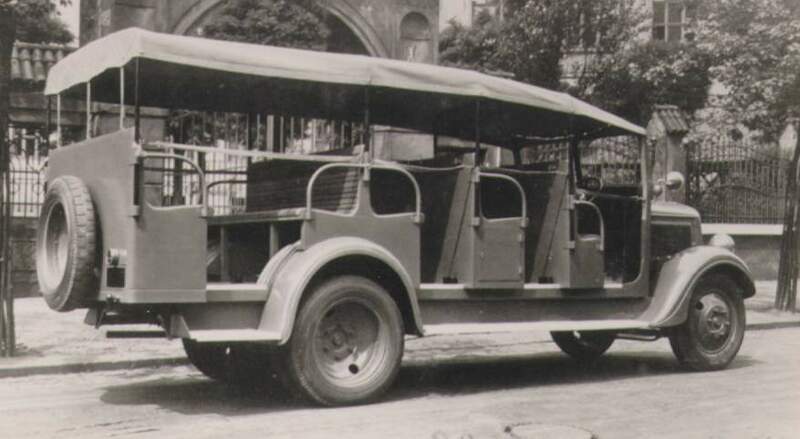 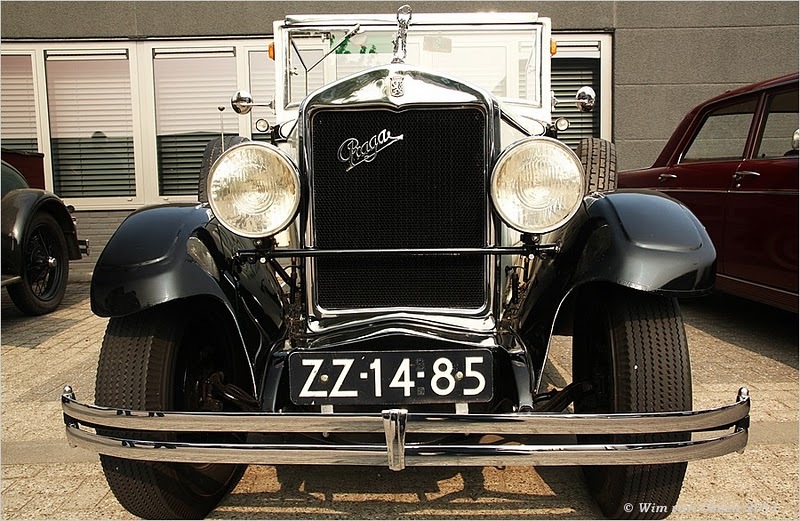 One of its early models was built under licence from the Italian company of Isotta-Fraschini. 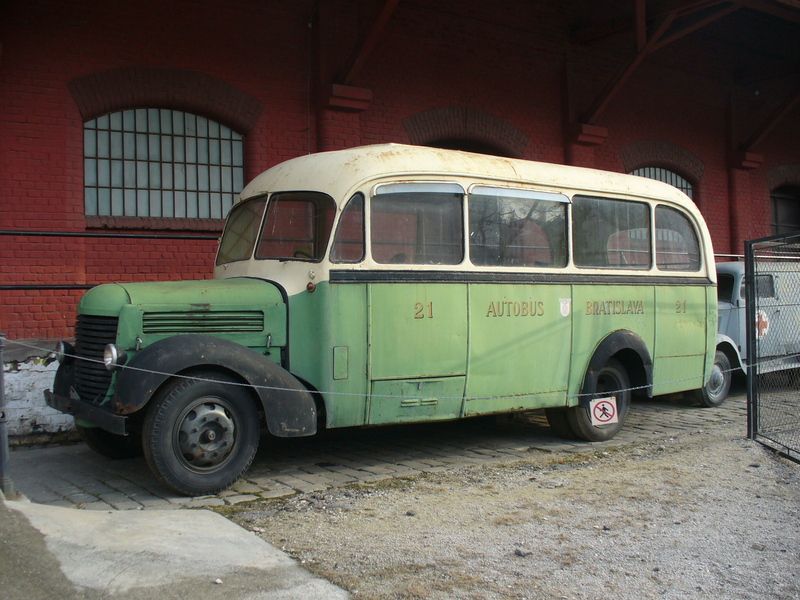 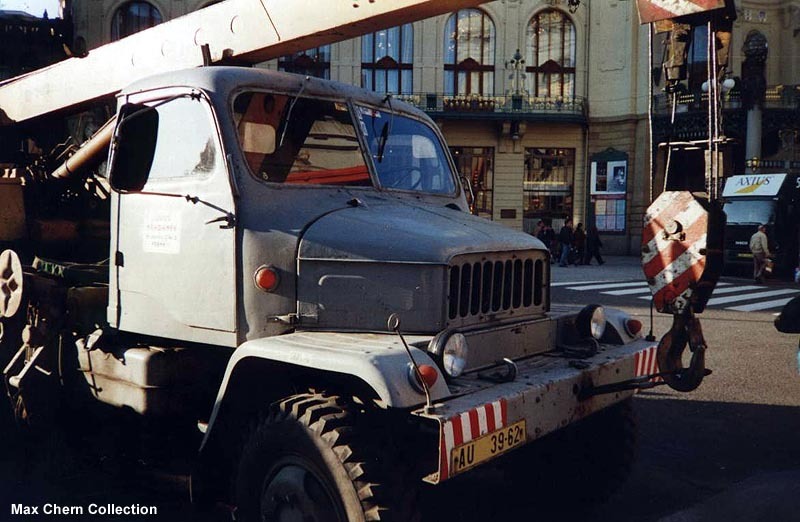 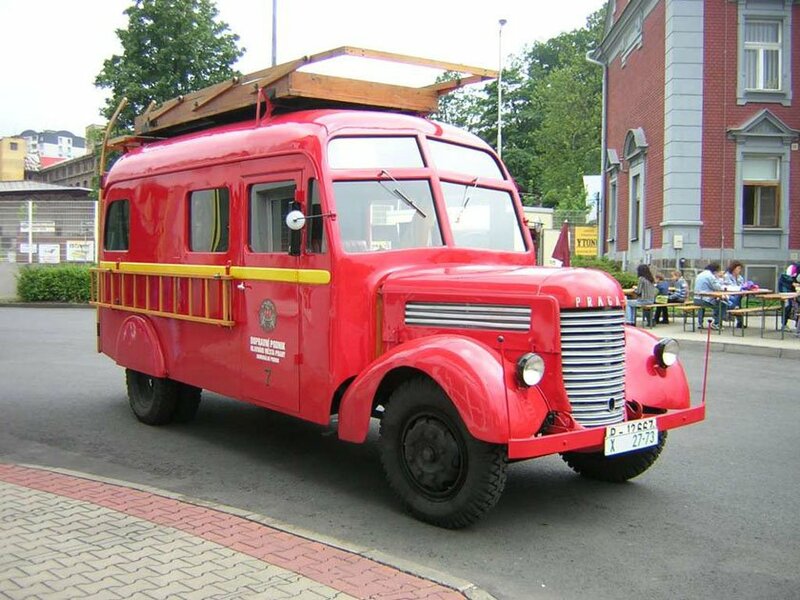 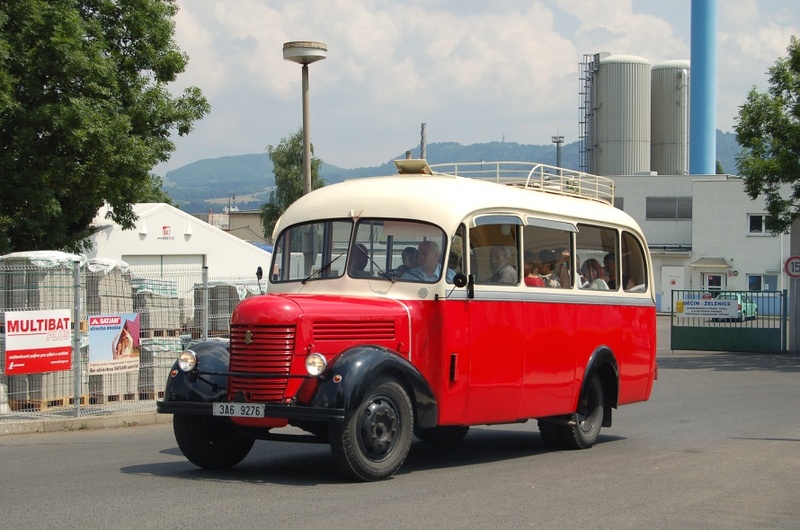 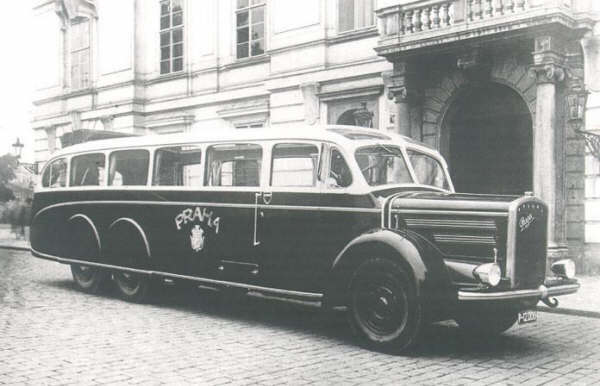 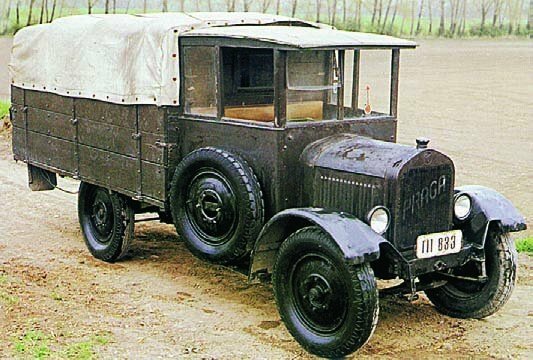 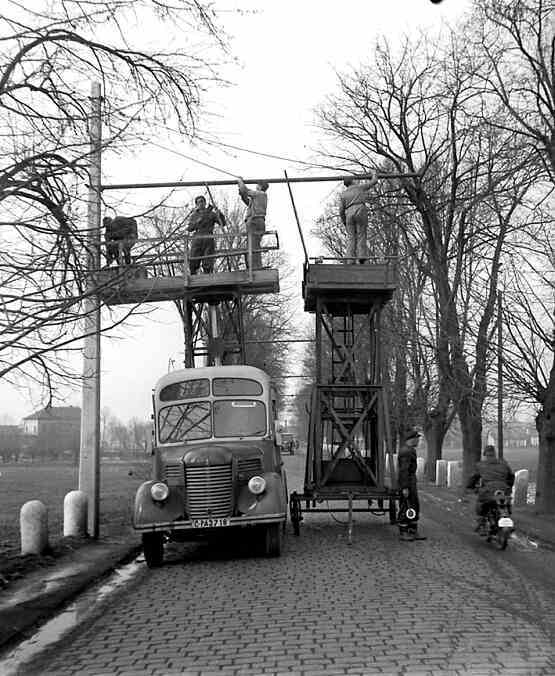 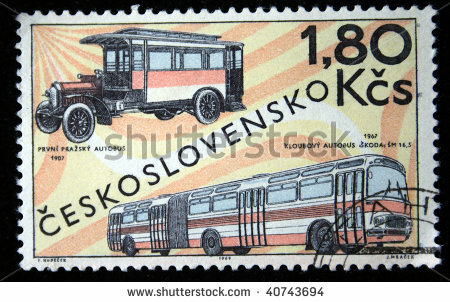 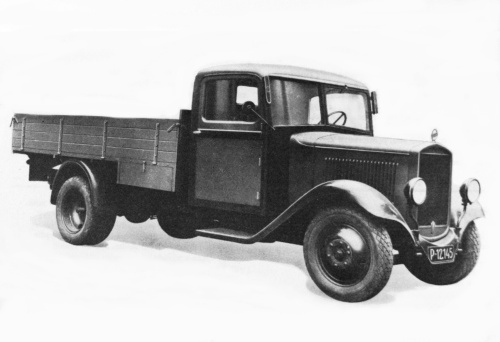 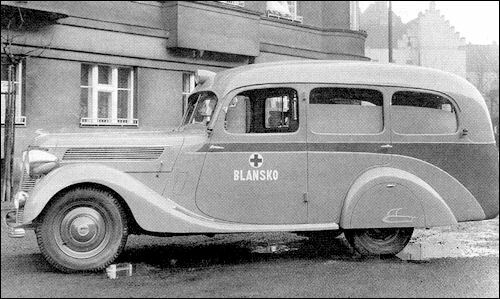 In 1929 Praga merged with ČKD, one of Czechoslovakia’s largest engineering companies. 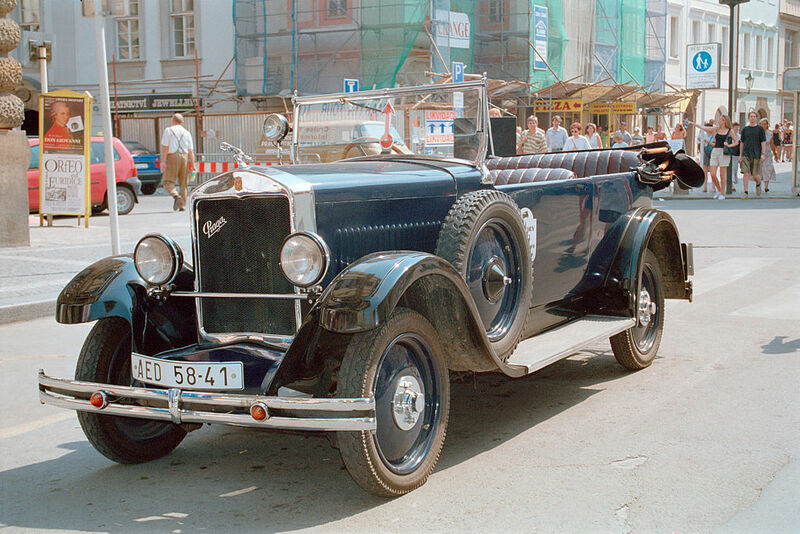 In 1929 ČKD’s BD motorcycle was re-branded under the Praga marque. 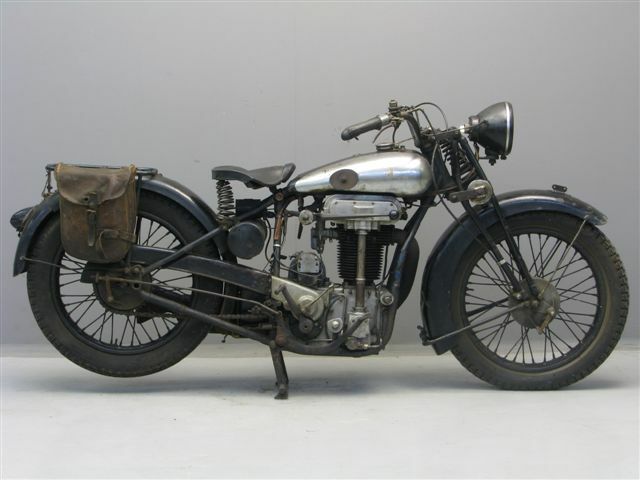 This was an advanced four-stroke single-cylinder unit construction double overhead camshaft model of 500cc designed in 1927 by JF Koch. 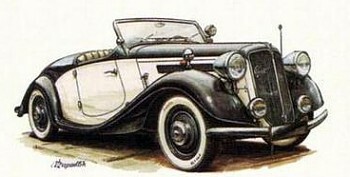 The “BD” designation was retained as its model name. 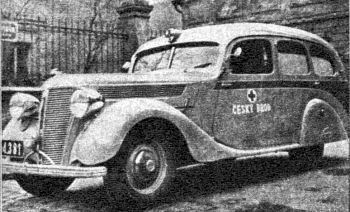 In 1932 Praga added a second motorcycle model, the BC. 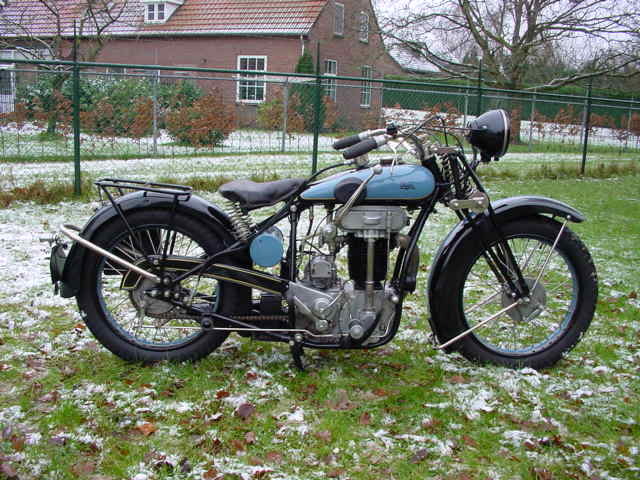 This had a single overhead camshaft engine of 350cc, shaft drive and a pressed steelframe. 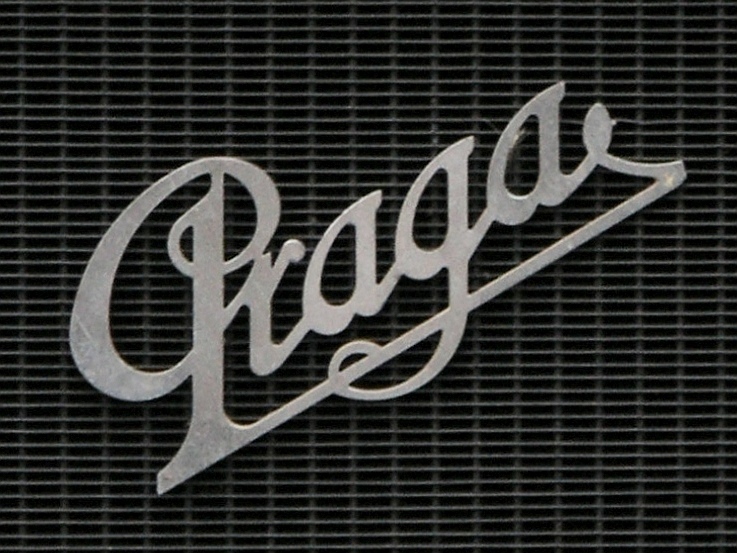 Praga ended production of both motorcycle models in 1933. 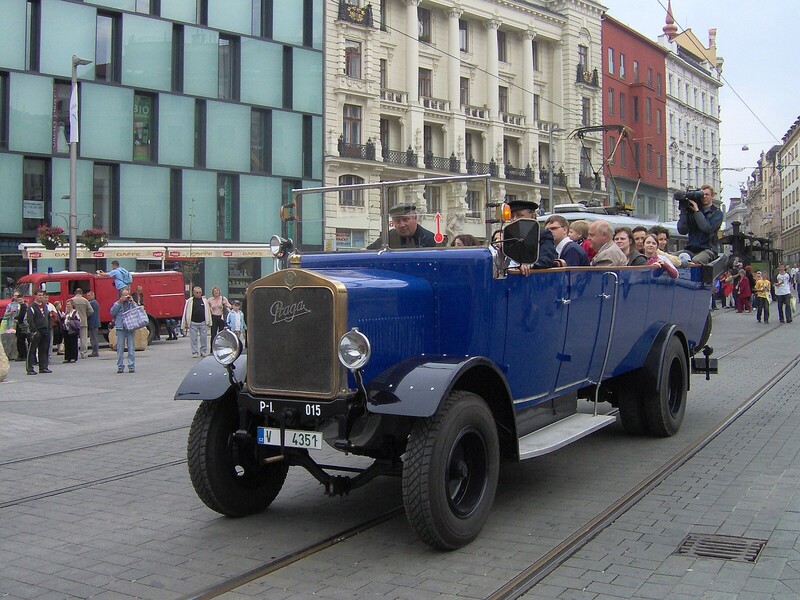 In June 2011 the company unveiled at Dutch Supercar Challenge GT races in Belgium, new car Praga R4 with eight-cylinder engine of 520 hp, which has not been so far homologated for normal road traffic. 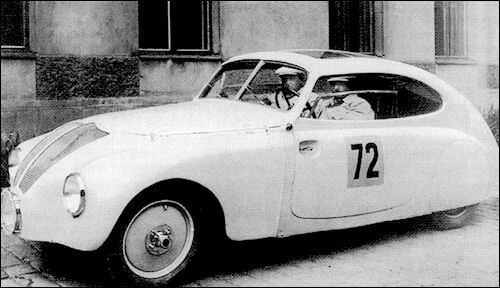 According to company owner Petr Ptacek will follow gradual steps, so new Praga cars were not seen only at racetracks, but we could meet them in traffic. 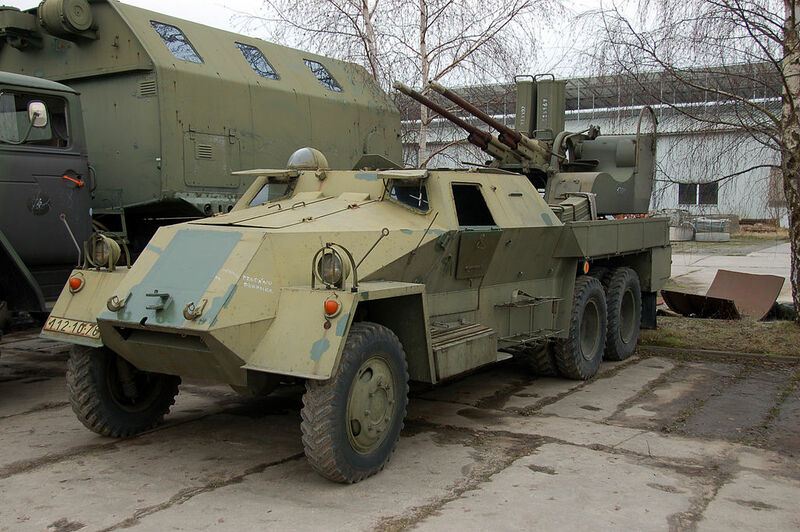 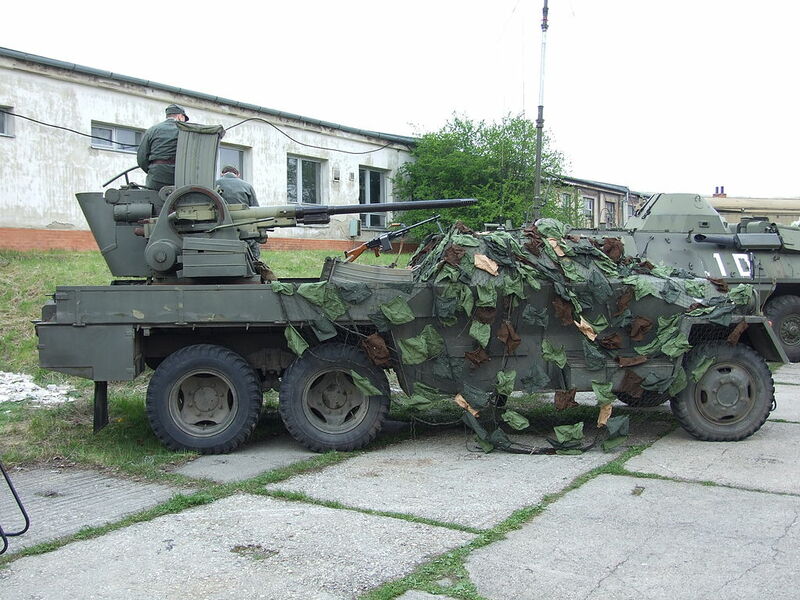 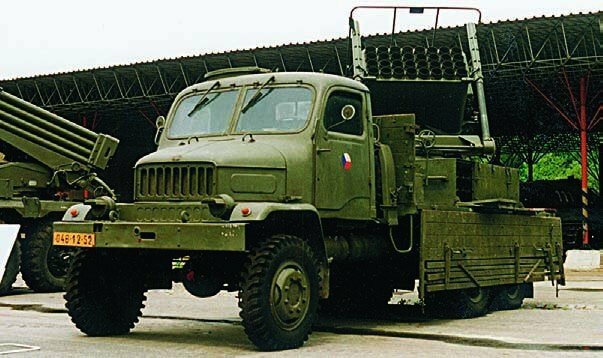 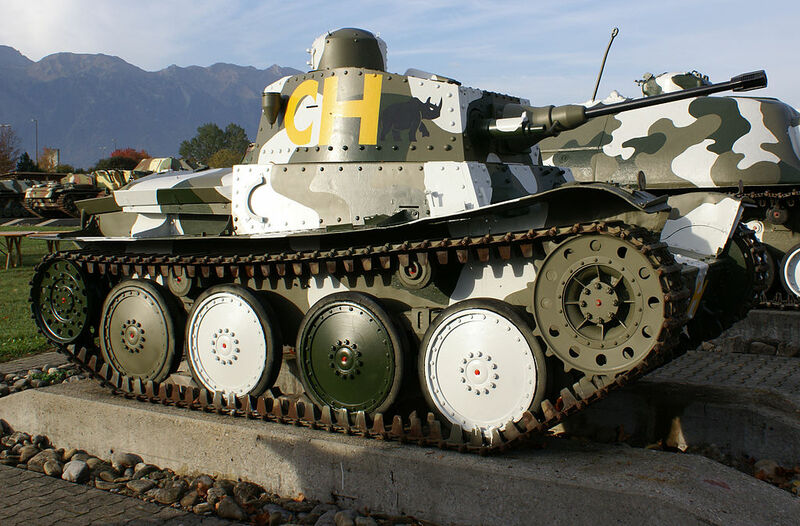 Self-propelled anti-aircraft gun PV3S PLDVK vz. 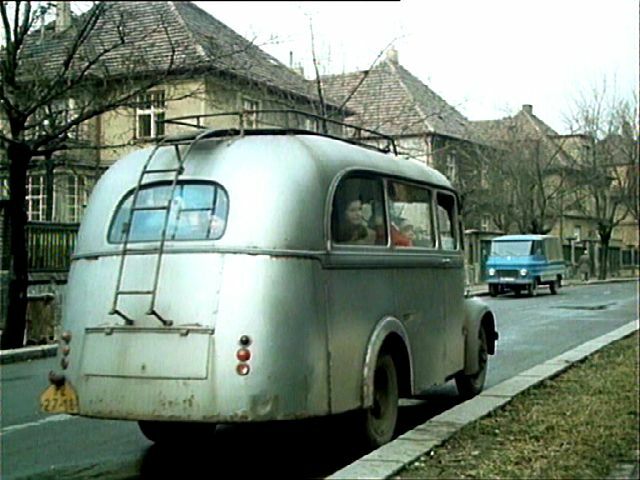 53/59 – “Ještěrka” (“Lizard”). 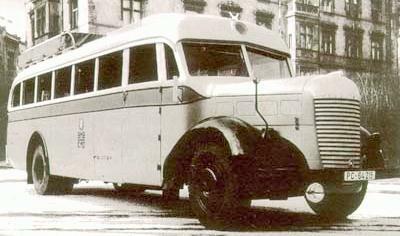 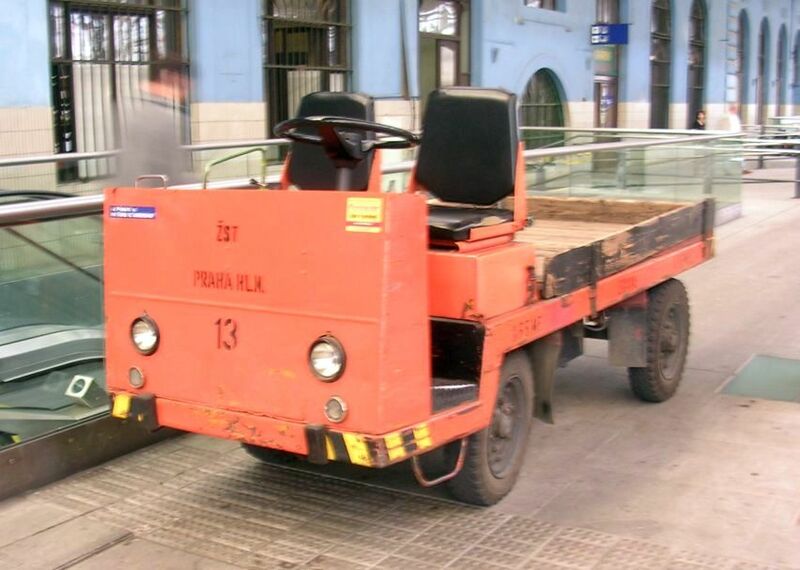 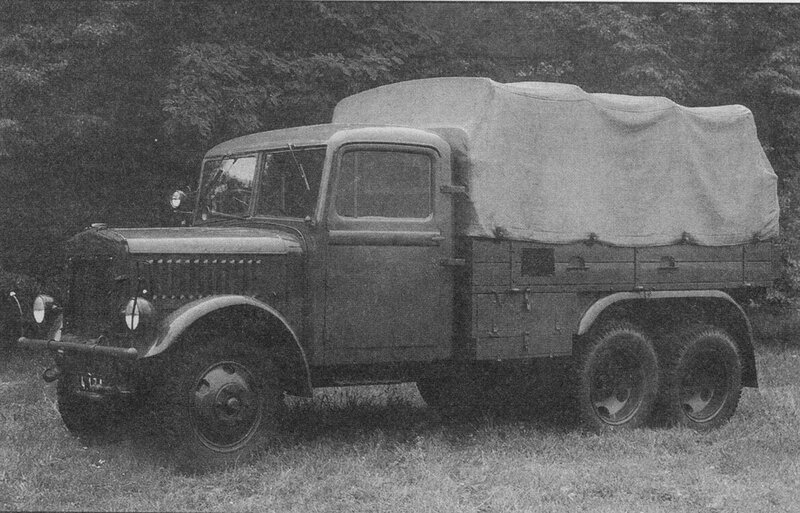 The chassis and the motor was produced in Praga. 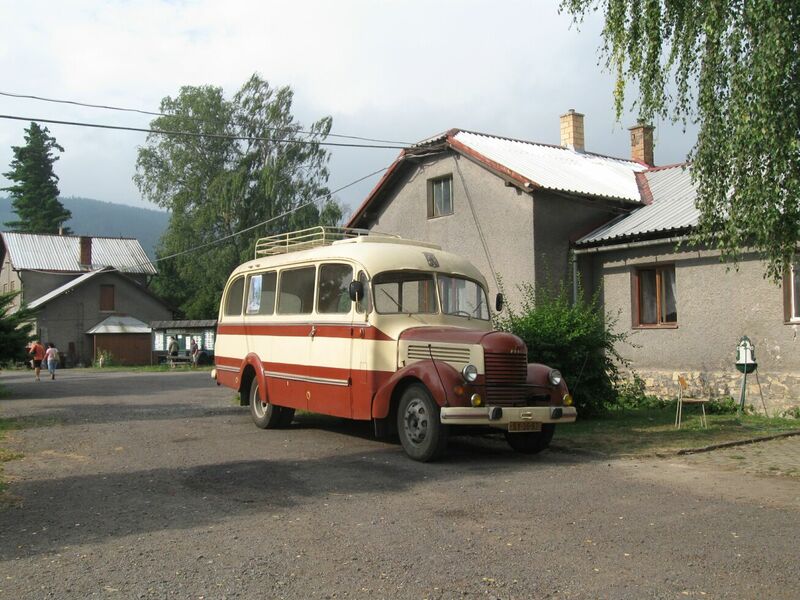 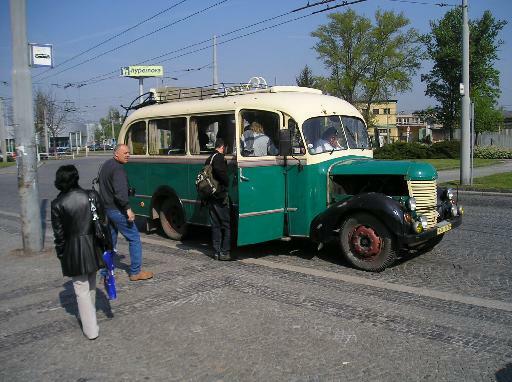 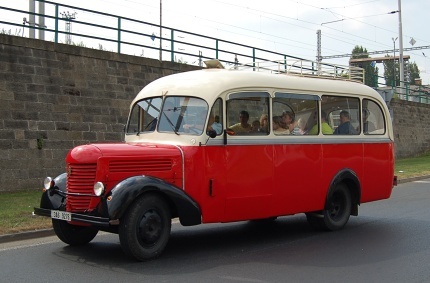 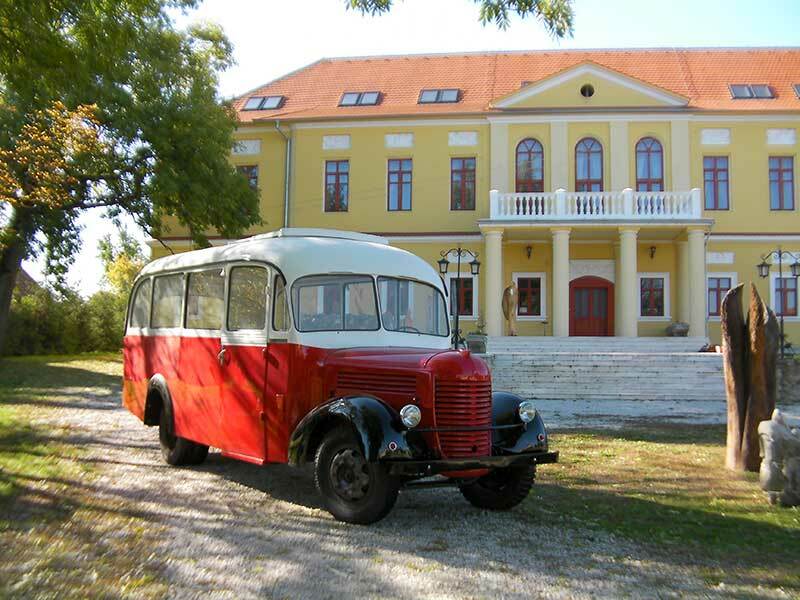 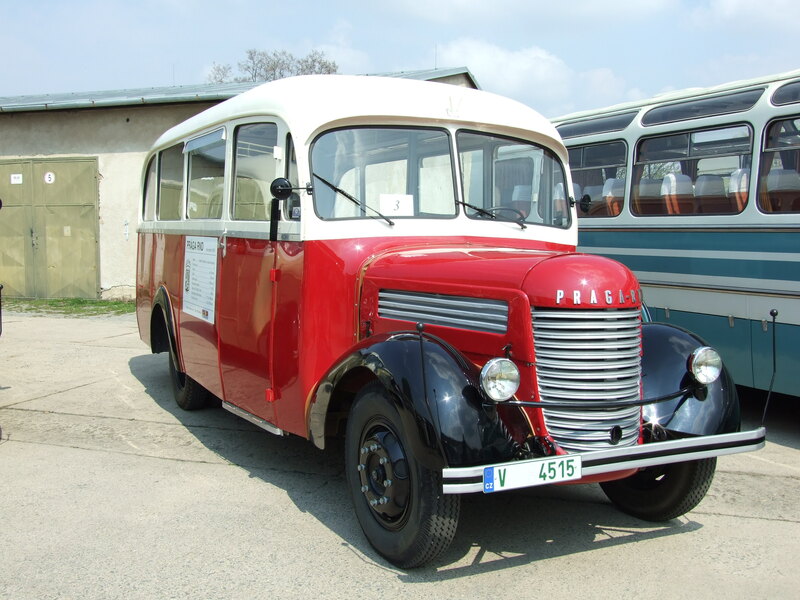 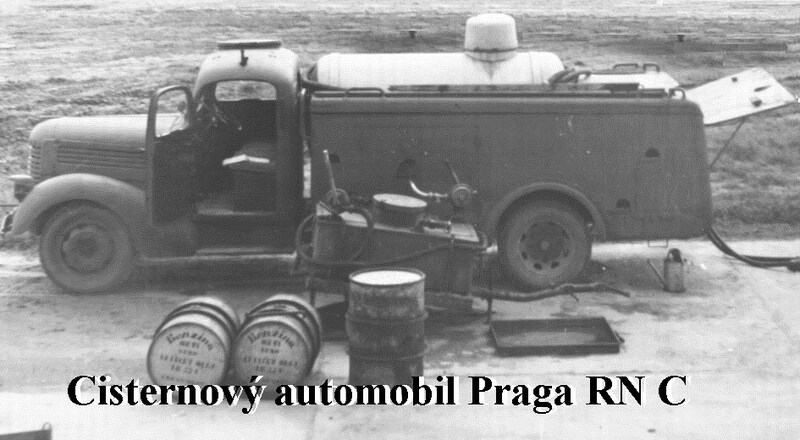 All Praga automobile production stopped by 1947, but was continued in 2011 when Praga constructed the R4S. 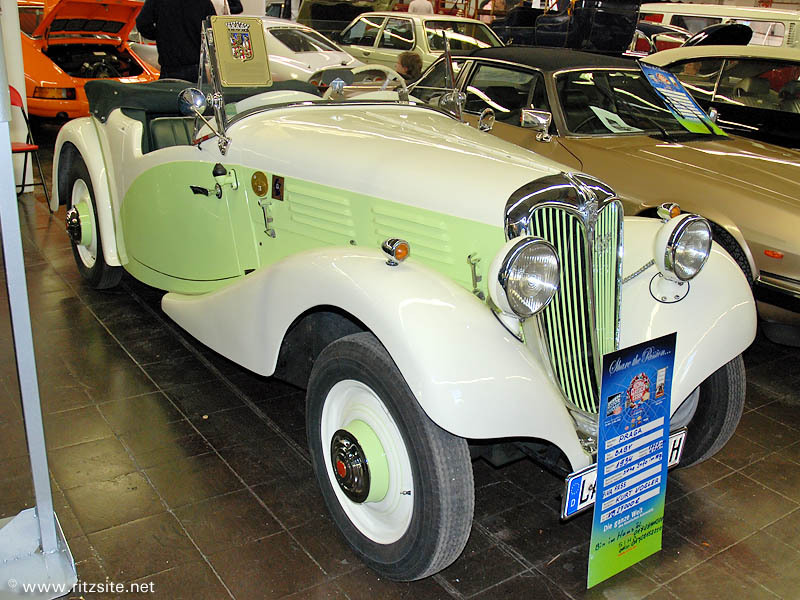 It utilized a 3.2 liter V8 based on the Suzuki Hayabusa engine and produced 530 BHP, with a total weight of only 88 kilograms. 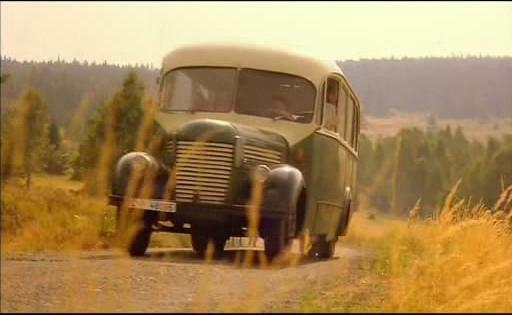 The R4S have been well received throughout by the media, but the company’s choice to not utilize either CFD nor windtunnels has been criticiced. 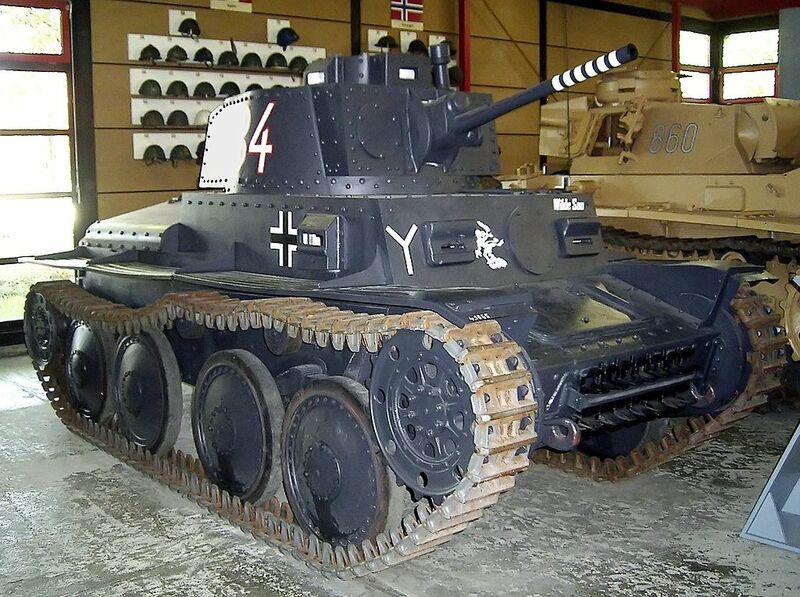 A neat feature on the R4S is the markings for camber and toe, which eliminates the need of advanced tools. 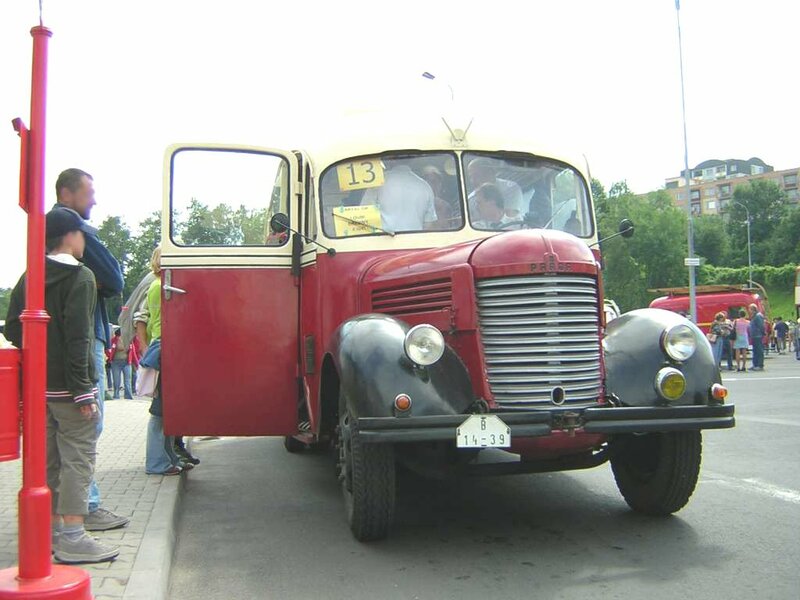 Now, engineers know that a specific amount of “clicks” represents a certain degree of camber or toe.